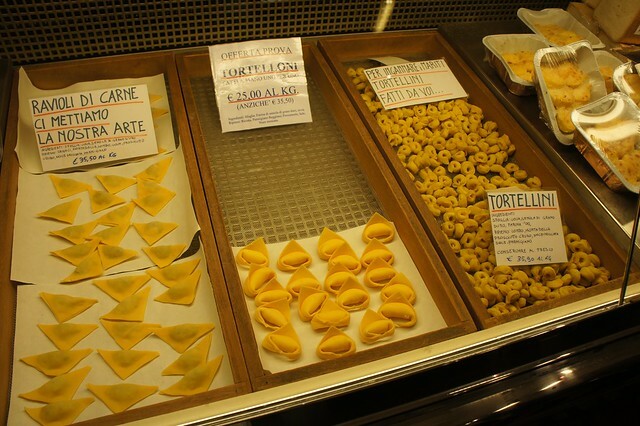 There are a number of traditional dishes served during the holidays in Italy, which tend to vary from region to region. 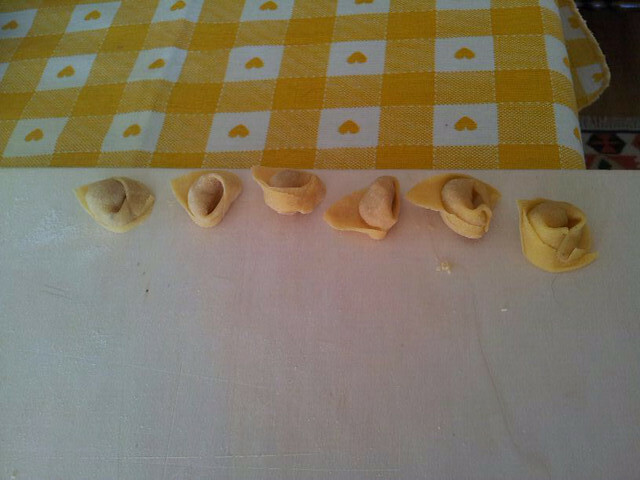 One of the most common, forming the centerpiece of Christmas lunch in most of the central and northern regions, is cappelletti (also known as tortellini). Made by the hundreds by hand in the days leading up to the holidays, these delicate, hat-shaped treats are formed by wrapping a hearty pinch of filling—a mixture of ground veal, pork, and chicken spiced with parmesan, nutmeg, and lemon peel—in a square of fresh egg pasta, folding the square over its rich center into a triangle, and wrapping the triangle around itself and pinching it into the final round shape. 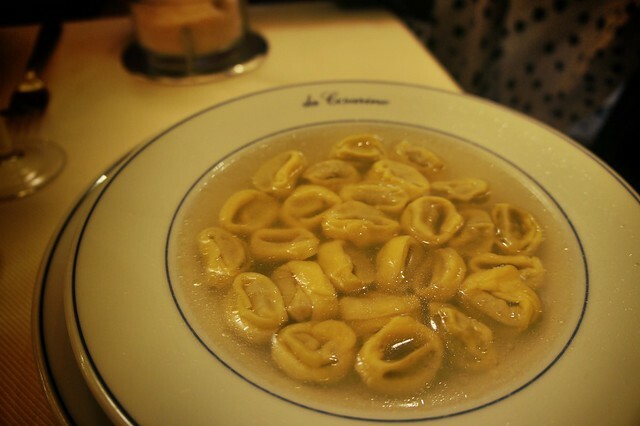 Come Christmas Day, cappelletti are boiled in an orange-infused meat broth and served as a first course. In some houses, the second course is a heaping platter of the savory boiled meat used as the broth’s base. 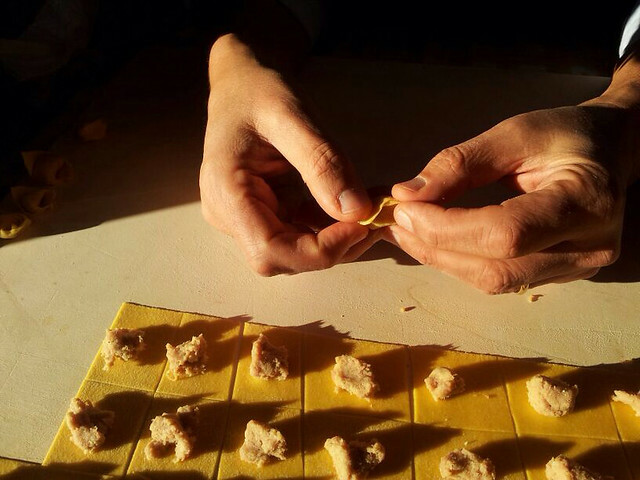 Though cappelletti can be purchased at pasta shops (or, sadly, at supermarkets), the long afternoons leading up the 25th spent around the kitchen table with family (mostly the women, granted) making cappelletti and chatting are an integral part of this dish. 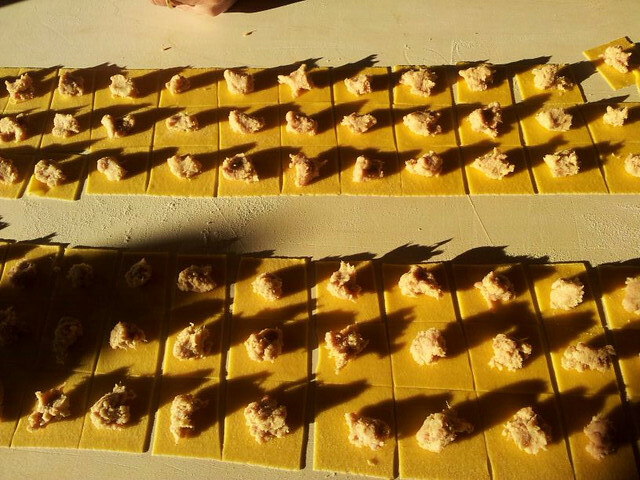 Brian rolls out the pasta by hand for our cappelletti. Buon Natale!